Spice Lime: Saucy Mama Shrimp & Beans...and our first Giveaway! Saucy Mama Shrimp & Beans...and our first Giveaway! 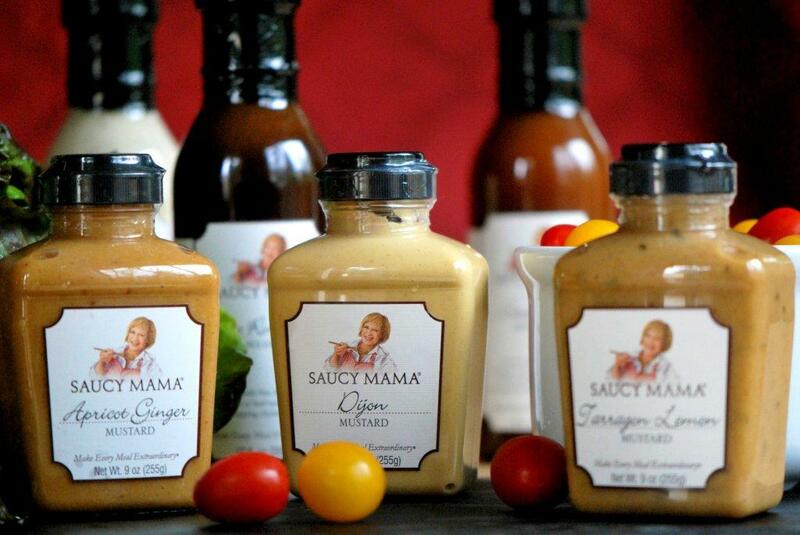 So I am one of the lucky food bloggers participating in an exciting recipe contest from Saucy Mama! Their Fab with Five Recipe Challenge is on, and I have to create recipes using 5 ingredients (not counting salt, pepper or oil), including one of their fabulous products. AND they are so sweet they sent me a box filled with their mustards and marinades to use in my recipes! Today is my first entry using their delicious Tarragon Lemon Mustard. This mustard is a little sweet, a little spicy, and is packed with flavors of tarragon and Meyer lemon. It takes my shrimp and beans to a whole new level, and this dish is quick and easy...perfect for dinner for the family! 1. Chop celery stick and carrots into small pieces. 2. Heat olive oil in a medium pan over medium heat. Add celery and carrots, and sauté for 3 minutes. 3. Add shrimp, and let cook until pink. Season with salt and pepper. 4. Add white beans and Saucy Mama Tarragon Lemon Mustard to pan. Stir to combine. Lower heat to medium-low and let simmer for 8-10 minutes, stirring frequently. 5. Serve and enjoy. Serves 4-6. So why should I have all the fun? Saucy Mama is generously giving away a prize pack to one of my readers, containing one bottle each of their Sweet Heat Marinade, Tarragon Lemon Mustard, and Pacific Rim Ginger Dressing. Winner will be selected randomly. Prize will be shipped to U.S. addresses only. Winner will be announced on CurlyKMommy blog on May 23, 2011. STAY TUNED...more contest entry posts to come! I am so happy to be following you blog now!!! Looking forward to seeing some good EATS from you! Your dish looks simply delicious! 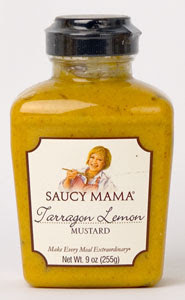 I love white beans, carrots, celery and then the shrimp with Saucy Mama'sTarragon Lemon Mustard. Perfect combo!